Hi and thank you for popping in. You may have Hopped here from Pauline’s blog or maybe starting here. Either way, I am sure you will enjoy all the lovely projects and ideas we have on offer today. Grab a cuppa, its going to be a while looking through them all!!! I couldn’t think of another way to relax and spend some time looking at them all. 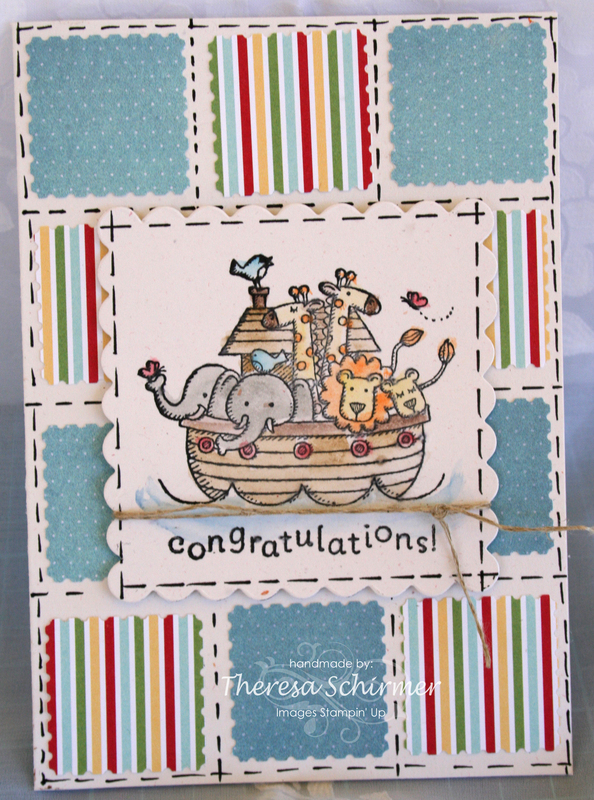 This box was made with the Fancy Favour Die and easily fits 6 3 x3 gift cards and envelopes. 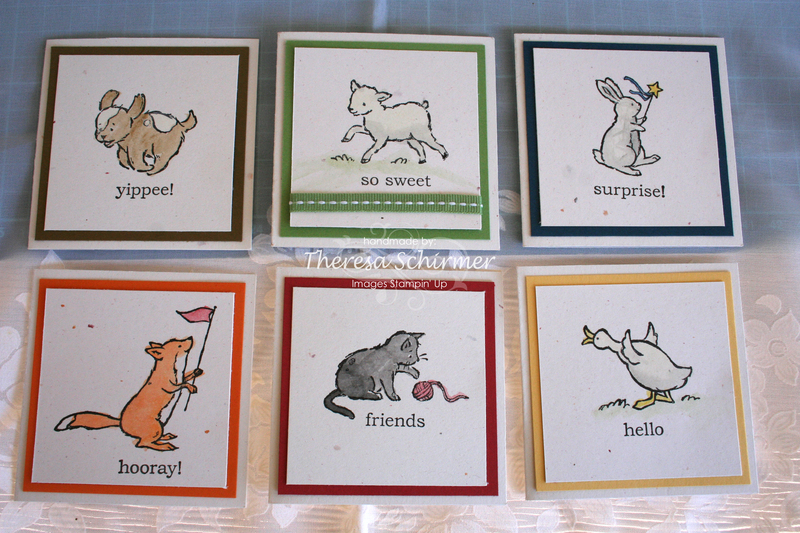 I wanted to use all the stamps and there 6 lovely images to stamp and of course watercolour (crayons). Just some close ups of the little gift cards. 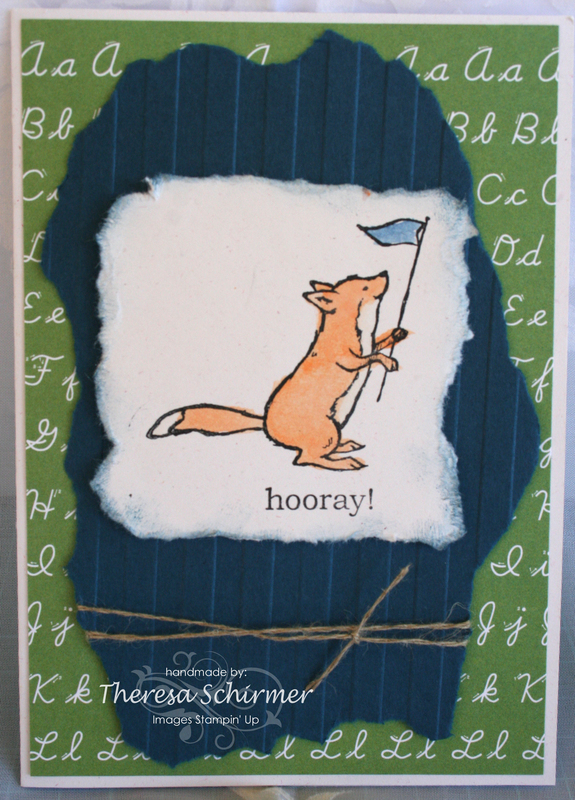 Mr Fox with some DSP and Linen Thread. 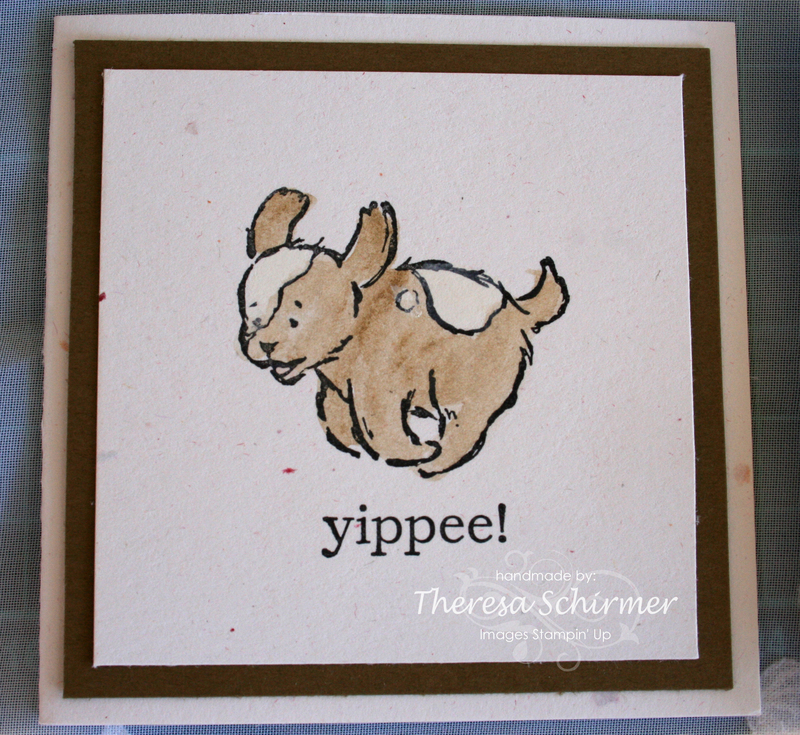 I stamped and watercoloured on some of the DSP in this one and was inspired to do this after seeing the mess in my craft space. Excuse the crooked photography on this card and I really didnt have time to rephotograph it. I wanted this one to look a bit like a quilt. 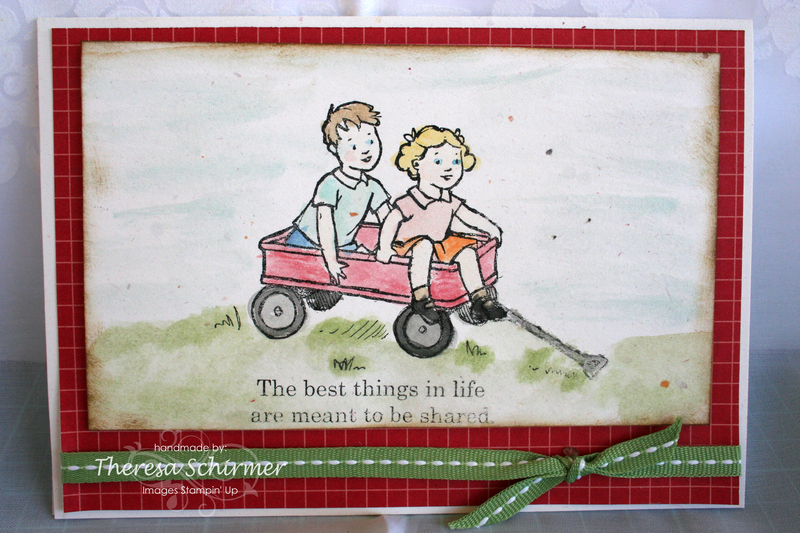 Last but not least, the Life Shared stamp. I love using all these products and I am sure that these can be adapted for all those school days that are just begging to be scrapped as well. I have a blog roll listed below so if you get stuck you can always come back and click on one of the links below. Otherwise I will pass you on to the wonderful Sharlene, I cant wait myself to see what she has been up to this time. Thank you again for stopping by and please leave some comments for me and the other participants. We love to hear your feedback. 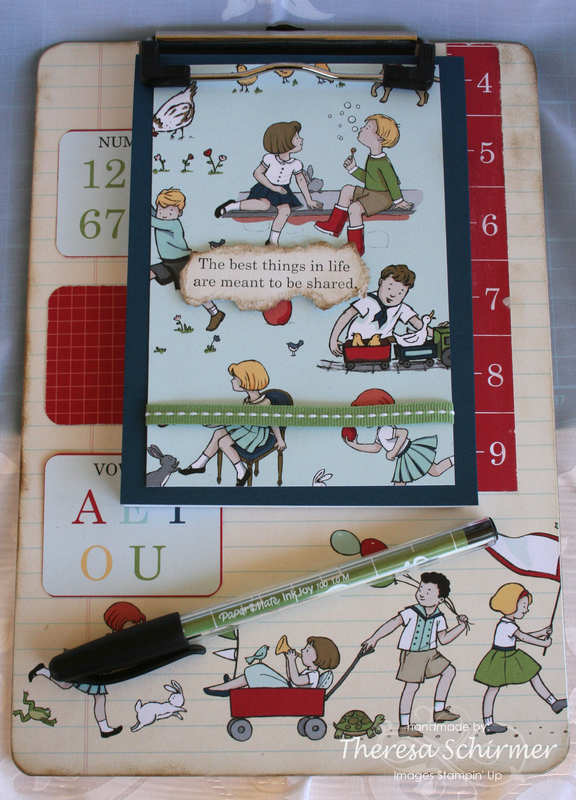 Hi crafters, I hope that I have had enough time to schedule and post this week. Its Tuesday and I havent gone yet. By the time you read this, our convention will be over and we will be starting our journeys home more than likely filled with inspiration!!! The lovely Miss Vicky from Sunny Challenges and Creations asked me along to be on the Design Team as a guest again. I jumped at the chance as this just keeps me moving instead of waiting for time to click by until I can get on that plane tomorrow morning and head off for my long anticipated time away. 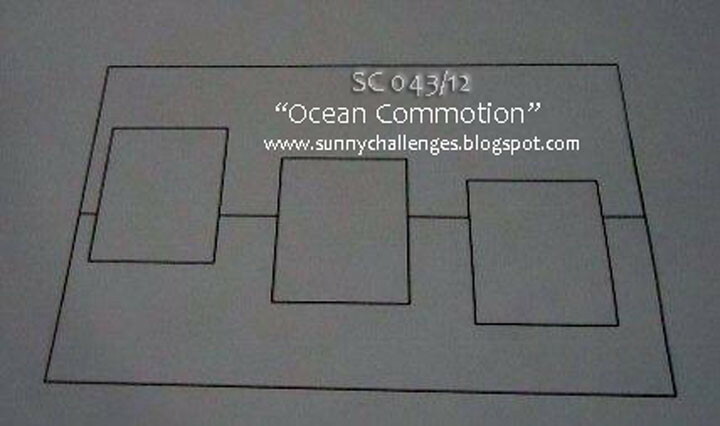 We are asked to use the stamp set “Ocean Commotion” when using this sketch. Its a stamp set that is not in my collection of stamps. 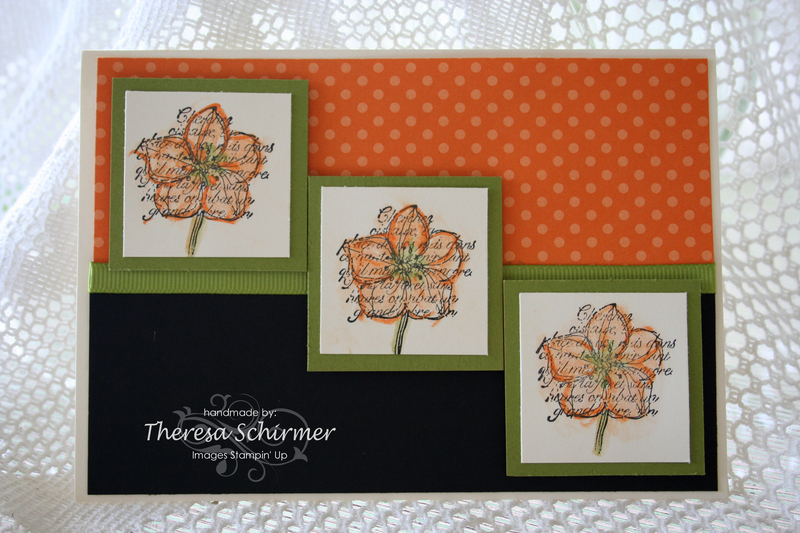 I made do with the gorgeous Hostess set “Faith in Nature” and here it is. SC 043 – 12 Challenge using “Faith in Nature”. I wanted to go for a clean and simple look on the front with no sentiment. Sometimes you just need these type of cards. I used the water colour crayons. I love to water colour. Anyway this is just a short and simple post today. I am on my way home from Canberra as this posts itself. Gotta love the schedule button. Excitement Plus!! 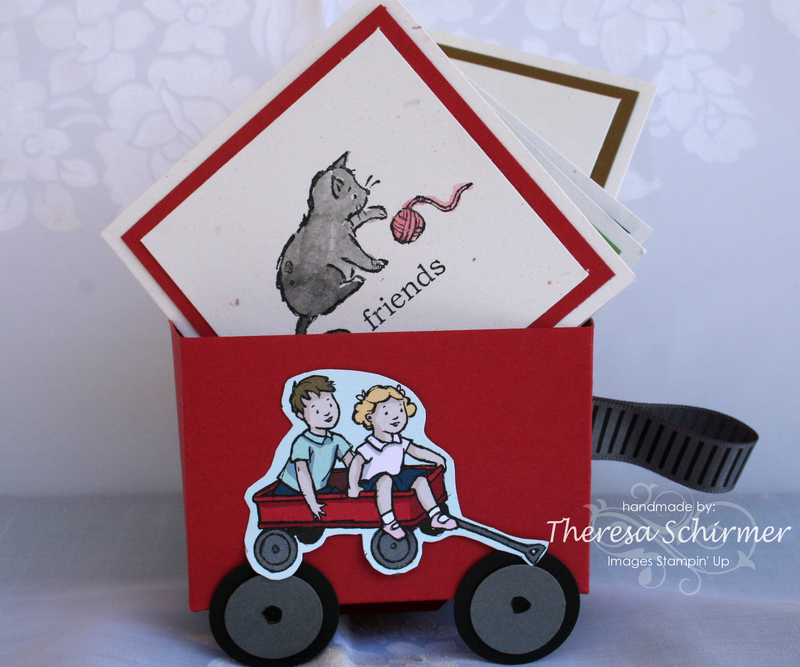 I am at the Stampin’ Up! Convention in Canberra. Thursday morning is traditionally a time for getting together and swapping ideas and meeting up with those we have only met via the internet or playing catch up with those we only get to see once every 12 months or so. I thought I would schedule this post for Thursday morning and you can then see what I am swapping this year. I like to try and do some card fronts and some 3D items to swap. I enjoy swapping as it gives me so many more ideas when I come home. Now onto my first swap, one you may have seen a couple of weeks ago as I did submit a very similar one to this for a challenge at Sunny Challenges and Creations. On the original card, I had brads to match and didnt like the way they sat in the ribbon and I didnt have 150 laying around in my drawer in green. 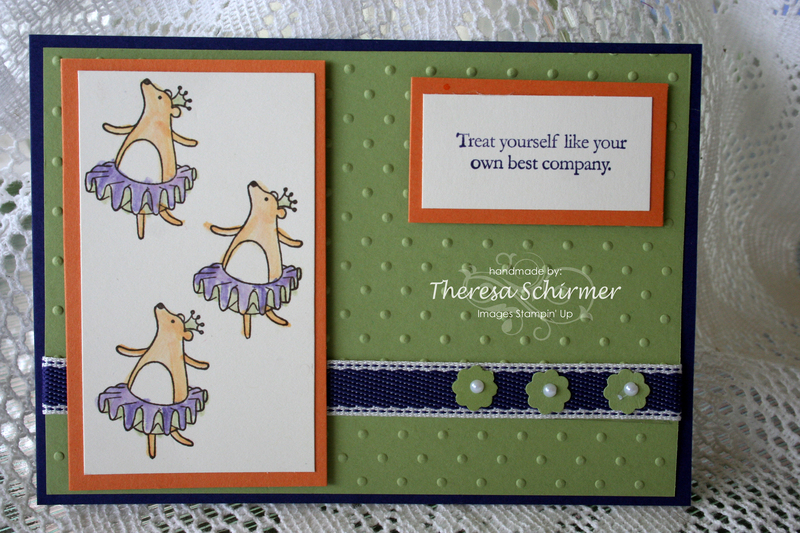 I changed it to putting 3 of the Itty Bitty Flower punches there instead and placed some pearls in their centres. 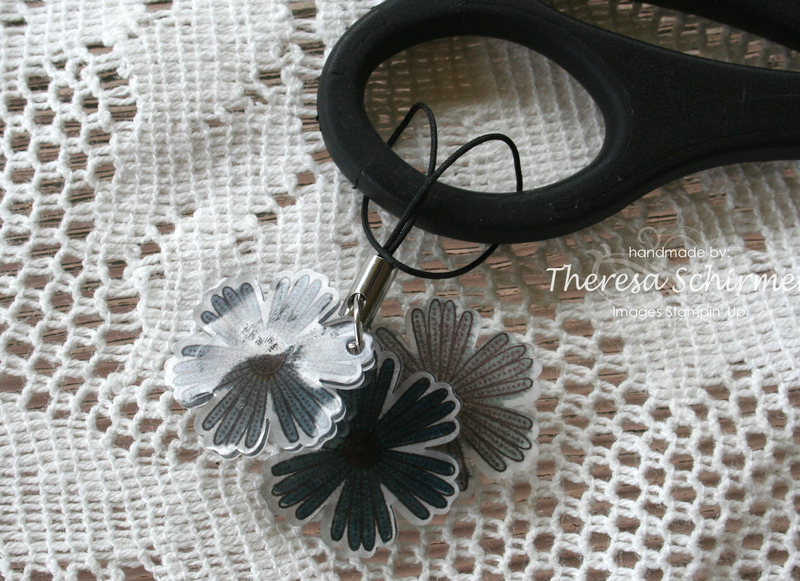 I have made 50 of these little gems and I still go swapping with workshops or classes in mind. 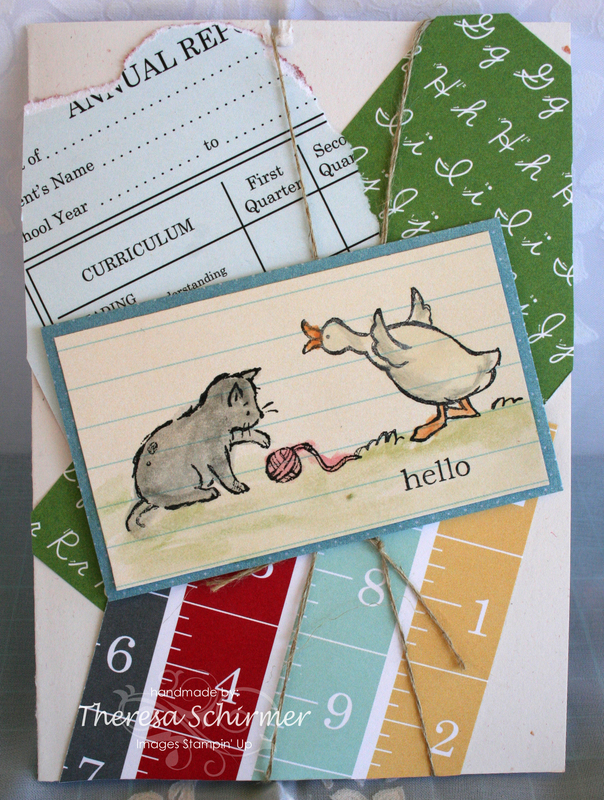 I have used the aqua pen and stamp pads for water colouring and this has been done direct to Very Vanilla card not the water colour paper, for placement, used the Stamp a Ma Jig so there is quite a bit of scope for a class or workshop. Here is my next swap and its the first of 2 x 3 D items I made. I just love how these turned out and the buttons came from an enormous stash I have and I was lucky to find coordinating buttons. Here is how they are packaged for swapping. 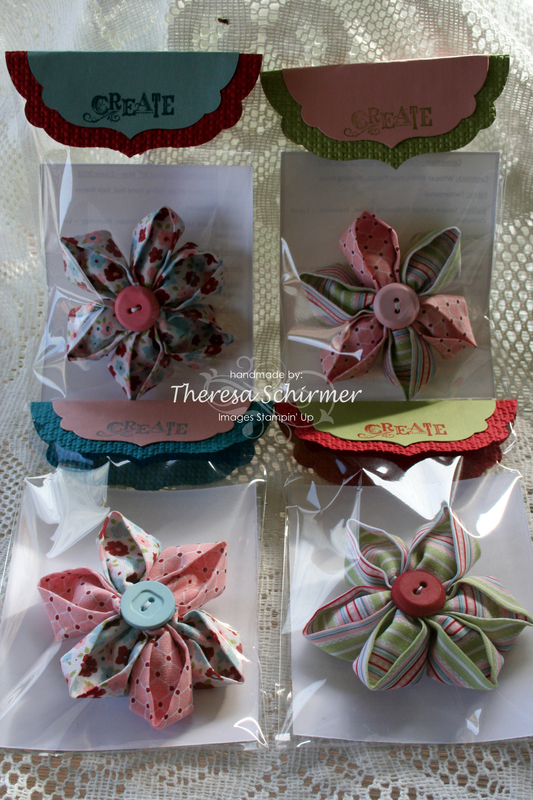 Twitterpated Kanzashi Flowers bagged with the info enclosed. I will post more information about these a bit later on in a separate post, I just wanted to give an idea of what I was swapping. 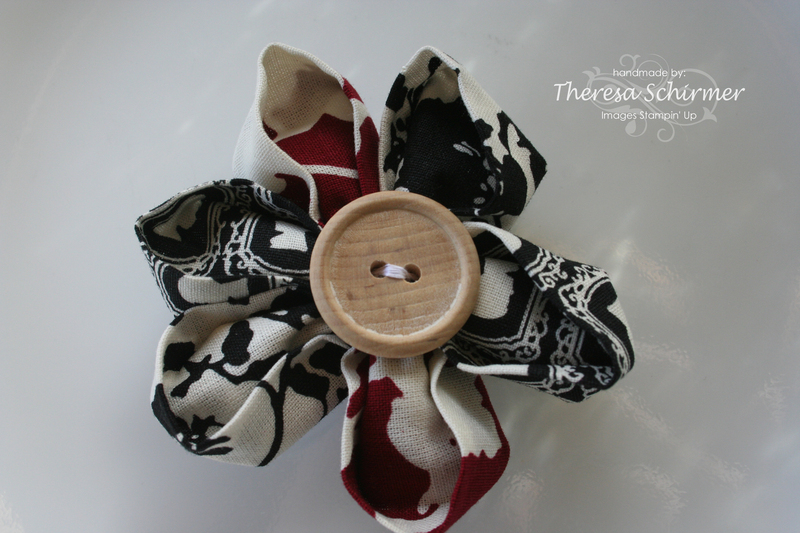 I have made various ones out of all the different fabrics from Stampin’ Up!. I ran out of the lovely wooden buttons and the brooch backs to continue making more. And one more using Timeless Portrait. I really enjoyed making these and my sewing just keeps getting better and better. 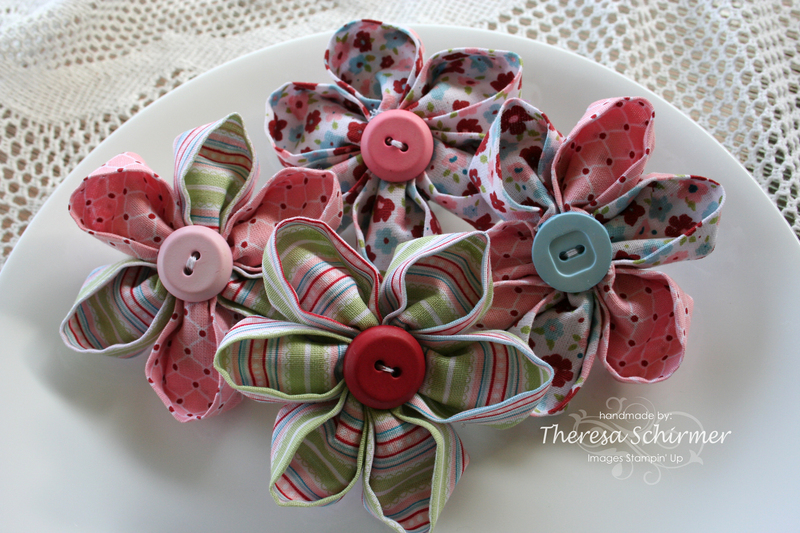 I promise that I will post more information about these easy to make flowers using a template. 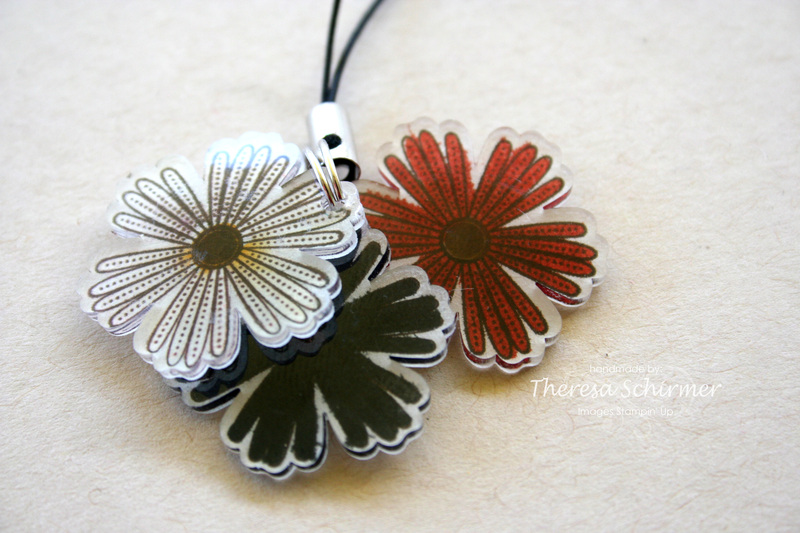 Here are my final swaps, they are paper snip or mobile phone charms, mine is on my paper snips. 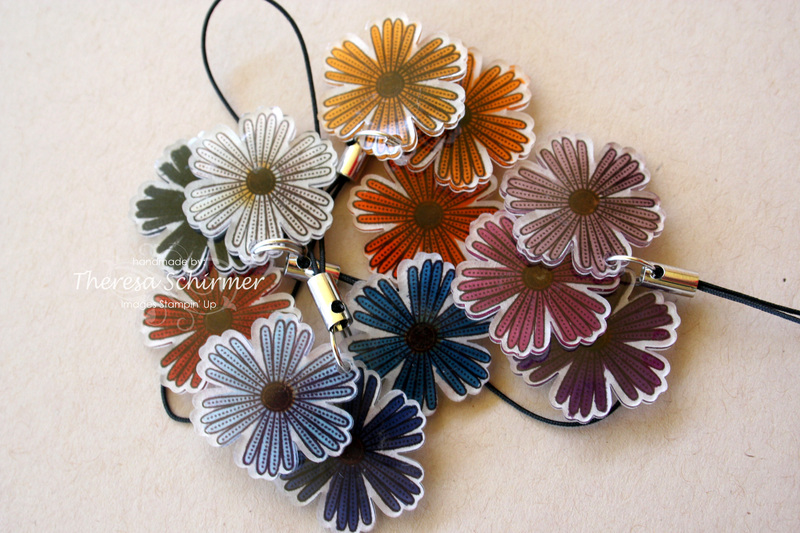 More information on will be posted on these after I come back from Convention and run up a bit of a tutorial as I did some step by step photos while making these with the Blossom Punch and Mixed Bunch Stamp set out of the Autumn – Winter Mini Catalogue. Here is a group of them ready to go into their little boxes. I have either coloured them using Water Colour Crayons or directly off the stamp pads using an aqua brush. Lastly the one I chose to keep to put on my old paper snips so I can just keep an eye on which ones I use for certain jobs. One on my paper snips. They are blue hues. Ok I am sitting here Tuesday afternoon rather relaxed, packed, and just about ready to go, I need to swap over a bag and my Spicey wallet to take with me and make sure I have my last minute packing stuff ready to go and wondering how I am this organised that this will post while I am actually swapping in Canberra. So off I go to do my last minute things.